Earlier today someone I know through Facebook made a special request to her fellow Jews living outside of Israel. Her request basically was that her Jewish brethren recognize the difficult times facing the citizens of Israel and refrain from posting pictures of their enjoyment of trivial or recreational activities, she referenced a ski trip, while so many Israelis fear for their lives as they just go about their daily routines . I’ve been struggling with this since I saw her post. The most significant emotion I have felt since reading it is sadness. I am the son of Holocaust survivors. I use whatever forum I have to defend and honor the Jewish people and Israel according to my personal interpretation. I consider myself a realist, very likely due to my parents relaying the stories of what they experienced prior to, and during the Nazi occupation of Holland. Compassion for my fellow Jews and the awful problems they currently face in the State of Israel is not a feeling I need to dig down deep to feel. It comes naturally, as it does to so many others. So my reaction to this person would be nothing but supportive and positive if I would address her directly. The problem I have is a more philosophical one. Not because I passionately feel one way is right and one way is wrong, but in this case it is because I just don’t know. From the perspective of supporting her and others like her I would certainly understand toning it down a little, but then the question becomes, where does it end? I would like to reiterate that I am not making a case in one direction or another since I continue to struggle with this tremendously. If I go out on the weekend should I tone it down? Forget Facebook, having once lived in Israel and appreciating what it means to all of the Jewish people, am I wrong for going out and having too much fun just days after an 18 year old boy got shot to death and a 21 year old woman got stabbed to death just for being Jewish in Israel? Have I become so desensitized to the suffering of my own people that I am able to party on the weekend while my fellow Jews in Israel mourn the losses? I honestly do not know the answer to this question. Like the rest of you I don’t really have any real frame of reference. I rationalize with thoughts of, the terrorists want to disrupt our lives so we shouldn’t let them or life must go on no matter how bad the circumstances. Both of those arguments are reasonable and by no means eliminate compassion and caring, but I still feel for my Facebook friend and others like her in Israel who might feel better if we expressed a pain more similar to theirs. Let’s face it. Although things aren’t getting better, living in America as a Jew is relatively safe and easy. It certainly is in the New York City area. We can care and empathize all we want for those who live in Israel, but the reality of humanity is that unless you are living it, you don’t really feel it. There are individuals who have as great of a love and connection towards Israel as anyone else but are presently going through a great time in their lives. Maybe their personal and professional lives are so in sync and successful that everything they would post at this time would be positive, and often an exhibit of pure and exuberant fun. Are they insensitive if they share it with their friends? Do they lack compassion? Do they care any less about Israel than anyone else? I would certainly say that sharing their good fortunes and celebrations of life with people close to them doesn’t make that the case, but nonetheless I wind up back to my friend in Israel and the sadness I feel for her pain, and I wind up no less confused than when I started writing this article. The answer may just be to take it as it comes. I have all the respect for my friends’s request while having no negative judgment for the person who posted the picture of their ski trip. All I can do is try to be as sensitive as possible to the feelings of my brothers and sisters in Israel, and pray very hard that peace comes to them very soon. Israeli Prime Minister Benjamin Netanyahu is a smart man. He knows history as well as the rest of us. Unlike many others I’ve spoken to and likely reading this article, I personally refuse to jump on the anti-Bibi bandwagon. It is my belief that the recent comments made by Netanyahu at a World Zionist Congress conference claiming that the Palestinian Grand Mufti Haj Amin al-Husseini convinced Adolph Hitler to kill the Jews, was part of a much larger overall strategy to bring the situation to the forefront and expose the blatant worldwide hypocrisy as it relates to the value of Jewish life. I’ve listened to a lot of people express their anger or disappointment in Netanyahu’s statement regarding the Mufti’s influence on Hitler and how damaging his Holocaust revisionism is to the overall situation. Let’s see now. What negative impact will it have exactly? Will it open the door for random terrorist attacks against Israeli civilians? Will it cause the world to turn a blind eye to the murder of Israelis? Will it cause Israel’s allies to open the door to a nuclear agreement with a terrorist government hell-bent on Israel’s destruction? Will it cause Palestinian leadership to tell lies about Israel? Oh wait. Those things are already happening. Being the son of Holocaust survivors and having penned a book that covers their experiences during the Nazi occupation, I understand how sacred the discussion and memory of the Holocaust is to so many. I understand the responsibility a Jewish leader has to guarding this sanctity. That being said, Israel’s leaders have one overwhelming responsibility, and that responsibility is to keep Jews safe, not only in Israel but all over the world. Did Netanyahu’s comments make Jews less safe? Were they safe before his speech? Will the world remain silent as Jews get murdered in towns that were once peaceful homes? Was the world showing any real anger before his speech? We all know the answer to these questions whether we care to admit it or not. Instead of expressing outrage for the murders of innocents in Israel, the UN was preparing to discuss the merits in declaring the Western Wall, the holiest site in the world for Jews, a Muslim site. Let’s pretend that Netanyahu knowingly revised history here. Is it worse than Hamas consistently accusing Israel of targeting civilians? It’s certainly being approached as though it is. Is it wrong if Netanyahu is playing their game, telling a lie for impact? That’s debatable. I understand the concept of taking the high road, of not sinking to their level. 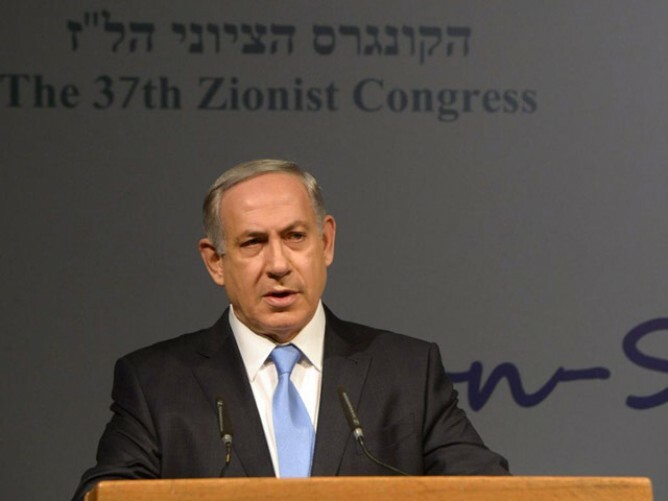 But truth be told, Netanyahu’s comments brought the entire situation far more to the forefront. In fact the frequency of attacks seems to have slowed down since his comments. Maybe the Palestinian leadership that claims to have no direct influence on its citizens’ fury are actually reeling in the violent protagonists. And maybe, just maybe, in making this claim today, Netanyahu is attempting to alert the world to the real intent of today’s Muslim extremists. That intent is clearly another genocide committed against the Jewish people. Exposing them is not incendiary, it’s enforcing the concept of Never Again. Is what Netanyahu said accurate? All evidence I know of shows it not to be. Is what he said commendable? On its own merit we would have to say no. But if we dig deeper and see its true impact we have to be careful to jump on the anti-Bibi bandwagon. Maybe, just maybe his comments do more to protect Jewish lives than hurt them. Either way, as the world tends to remain quiet as Jews get randomly murdered, I personally believe attacking Netanyahu, even if based in some legitimacy, does nothing more than feed into the double standard, something far more damaging. When I read that Palestinian Foreign Affairs Minister Riyad al-Maliki arrived in the Hague with the intent to make a case charging Israel with war crimes, I decided to read up more about the man appearing to the world as a defender of humanity. After all, the Palestinian Authority produces nothing but the highest quality individuals. Sarcasm aside, here are the facts about the latest “humanitarian” to be produced in defense of the people in Gaza. 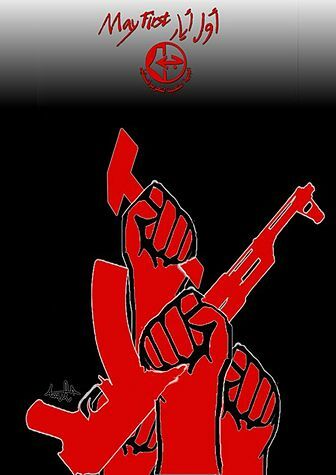 Riyad al-Maliki was a leading member of the Popular Front for the Liberation of Palestine(PFLP). The picture inserted in this post is its 2005 May Day poster. Tells you a lot already. The PFLP, al-Maliki’s faction, supports a one-state solution, which basically means it favors the destruction of the State of Israel. The PFLP has conducted terrorist attacks worldwide since 1968, but I’ll just show a few that took place since the year 2,000. There are plenty more to show but you get the point. The world we live in today is so backwards when it comes to morality and decency, one might think if the Warsaw Ghetto uprising would have happened today the Jews would have been condemned for it. Riyad al-Maliki, the latest Palestinian terrorist to put on a suit, is the man presenting the case against Israel. To the world’s shame it is listening. One day some of these people will look back and lament how they took the side of terrorists over a free and democratic country. By then it may be too late.